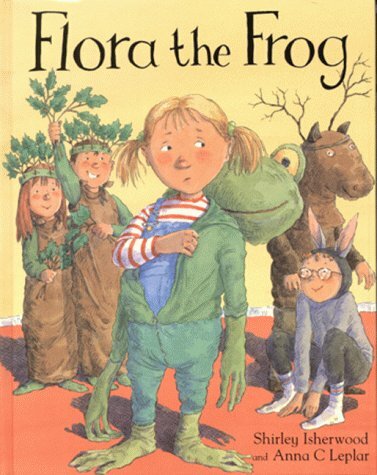 When Flora is asked to play the part of a frog in the school play, she is not happy. Her mother enthusiastically makes an amazing frog costume but Flora throws it away, high into a tree, from where the frog haunts her, waving one disconsolate arm. When Flora comes face to face with real frogs in a pond, she realises their beauty, as sparkling, silvery droplets fall from their backs. Her costume is rescued and, with extra spangles stitched on, we are left to believe Flora becomes a happy frog. The pale pastel pictures are softly compassionate throughout, with lots of humorous details. A story to touch the hearts of all mothers, teachers and child performers.